WebPathology is a free educational resource with high quality pathology images of benign and malignant neoplasms and related entities. It was launched in 2003 by . It initially focused on urologic pathology and was subsequently expanded to include other organ systems. The site offers a visual survey of surgical pathology with emphasis on high-quality images. Each image is accompanied by a comment on pertinent clinical and pathologic features. WebPathology has become a valuable educational resource for pathology residents and trainees as well as practicing clinicians and allied health professionals around the world. is a surgical pathologist in private practice in Richmond, Virginia, USA. He obtained his MD from Maharaja Sayajirao Univerisity, Baroda, India. He subsequently completed residency in Anatomic and Clinical Pathology and a Fellowship in Surgical Pathology at The University of Texas Southwestern Medical Center, Dallas, Texas. After completing a Urologic Pathology Fellowship from Mayo Clinic, Rochester, Minnesota, Dr. Ramnani moved to Richmond in 1999. The cases presented on this site are derived from reliable sources. The diagnoses have been confirmed with immunohistochemical stains, special stains, molecular diagnostic tests, and/or expert consultation as needed. If you notice any errors or have questions/concerns about a particular case, please contact us. All the content posted on this site is free of commercial bias. 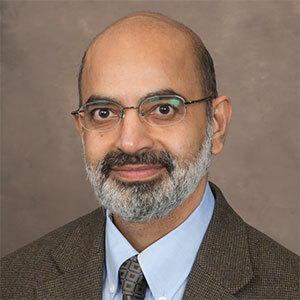 Genitourinary: Dharam M. Ramnani, MD, Richmond, Virginia, USA. Bone, Soft Tissue: Jerad Gardner, MD, Assistant Professor of Pathology, University of Arkansas for Medical Sciences, Little Rock, AR, USA. Dermatopathology: Jerad Gardner, MD, Assistant Professor of Pathology, University of Arkansas for Medical Sciences, Little Rock, AR, USA. Gastrointestinal Tract: Sanjay D. Deshmukh, MD, Professor of Pathology, Dr. Vithalrao Vikhe Patil Medical College & Hospitals, Ahmednagar, India. We are looking for authors/reviewers to help write captions for images. If you have a subspecialty interest in Pathology and would like to help us grow this site, please contact us. The site is being funded by personal resources of its founder, Dharam Ramnani, MD.